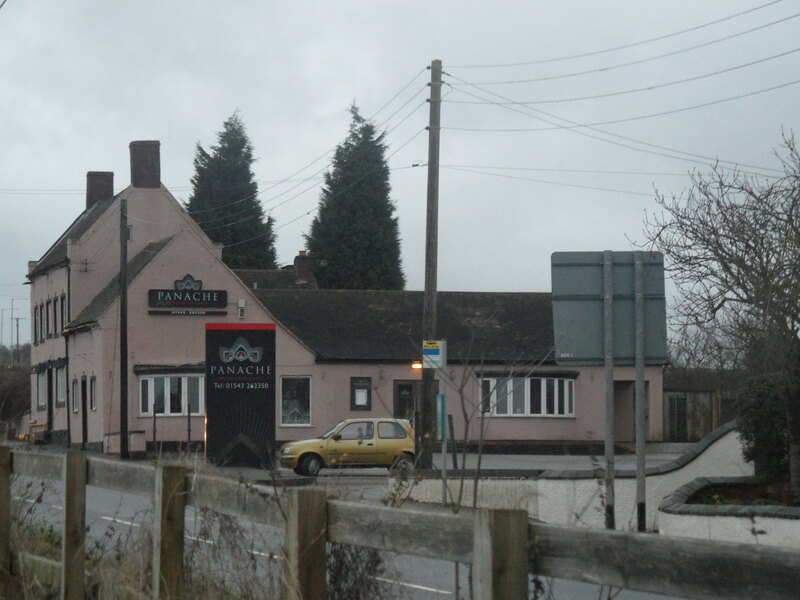 After reading that an inquest into a young boy’s death from drowning in the nearby canal at Sandfields in 1884 had been held at the Three Tuns Inn on the Walsall Road, I wanted to know more about the use of pubs in these circumstances. I had a look at the newspaper archive and found another report in the Lichfield Mercury, this time from December 1885, regarding the death of a soldier who had been found in the Birmingham Canal near Quarry Lodge. After being discovered, the body was taken to the Shoulder of Mutton in a cart on a Monday afternoon, where it was examined by Brigade Surgeon G Simon M.D. The following evening Mr C Simpson, the City Coroner, held an inquest into the death where a verdict of ‘drowned’ was returned by the jury. I understand that this was how things were done all across the country. I think I’m right in saying that until the Public Health Act of 1875, there were no public mortuaries and in the event of a sudden or unnatural death, inquests were held at a nearby public building, often an inn or public house. If a body was discovered outdoors, the pub would also become a temporary mortuary. The returns submitted by Coroners vary from place to place in the amount of detail included. For example, the return for Ripon outlines further payments made, including 5 shillings paid per day, ‘to expenses of room and trouble, where dead body is deposited till inquest held’, and ‘to the crier of any township for crying when body found and not known’. The return of Mr H Smith, the Coroner for Walsall, gives names of the deceased and the dates on which the inquests were held. In Leicester, John Gregory recorded the number of inquests in the four years ending August 1839 and added an explanatory note that the increase in inquests in the last year was mostly due to accidents occurring in the formation of the Midlands County Railway through the county. In a handful of towns, the Coroner also recorded the verdict (e.g. accidental, visitation of God, wilful murder) of the inquest. It doesn’t make for pleasant reading, but it’s a fascinating and important document for local or family historians. other suitable premises have been provided for such inquest. “I called the attention of the council to this matter…12 or 18 months ago, when a recommendation was passed by a Jury. It is astonishing that the City of Lichfield does not possess a mortuary, when one takes into consideration the fact that there are two stations in the place, and how frequently people meet with fatal accidents on the railway. It is most unfair that publicans should be called upon to take in these cases, and it is unfair to ask them to do it. Suppose a tramp happened to die, whilst passing through the town, that man, unless some kind publican happened to take him would have to be hawked around from public house to public house, until someone consented to take the body. It is simply a scandal and a disgrace that such a state of things should exist especially when a mortuary could be built at a small cost”. Dr Rowland added that there had been plans for a mortuary, but they had been shelved, to which the Coroner replied, ‘It is not fair to the medical gentlemen to ask them to make the post-mortem examination under such conditions’. The Jury recorded a verdict of ‘Death from Natural Causes’, and added to it a rider calling on the City Council to proceed with the erection of a mortuary. In May 1903, the body of a man was found on the railway line at Shortbutts Lane. The Duke of Wellington refused to admit the body, but the landlord of the Marquis of Anglesey allowed his stable to be used. The Coroner commented that it was as if the fates were conspiring to emphasise the need for a public mortuary in Lichfield. By June that year, plans to convert one of the storerooms at the Stowe Street Depot had been put forward amidst concerns by some members of the council that a scheme to erect a purpose built mortuary in the city was too costly. By August, discussions over the expense were continuing. Councillor Johnson claimed he was in favour of a mortuary but not wasting money on it. Councillor Raby replied by saying that the City had been brought into oppobrium enough through not having a mortuary, and that ‘the ghost of obstruction which Mr Johnson had conjured up should be buried’. Finally, in November 1903, the Surveyor reported that the Stowe Street mortuary had been completed at a cost of £48 9s 5d. Exactly a year later, the City Council’s attention was drawn to the fact that dead bodies covered in sheets could be seen from Stowe Pool Walk. It was agreed that a blind should be installed and lowered when the mortuary was occupied, an almost symbolic drawing of the veil between those living in this world and those who had joined the next. Death in Lichfield was no longer in the public eye. This entry was posted in death, Inns, Lichfield, pubs and tagged City Council, Coroners, Death, depot, Hen and Chicken, inns, inquests, Lichfield, Lichfield history, local history, Mortuary, Public Houses, sandfields, Shoulder of Mutton, Stowe pool, Stowe Street, Three Tuns by Kate. Bookmark the permalink. I’m glad you did some research on this – it does confirm my feelings (gleaned largely from literature) that inquests were held in pubs because there was nowhere else! I think our attitude to death changed with advances in medicine, better living conditions, better food etc. People lived longer, and all kinds of diseases and conditions that once caused death could be cured, or managed. As they realised death was not always the inevitable end of illness, perhaps it became more difficult to accept it when it did happen, and consequently less acceptable to talk about it. And, of course, on a purely practical level, medical and scientific discoveries must have shown that leaving bodies lying around in public places was undesirable because it could spread diseases… There’s a lot to be said for progress! It seems Lichfield was one of the last places around here to get a mortuary and I must follow up with the info I have on it. I’m really interested in the ritual side of death and our relationship to it throughout the ages. Thank you, this made fascinating reading; and explained the lyrics of a folk song, Poor Murdered Woman, sung by Martin Carthy amongst others and based on a true story from 1834, where the body is taken ‘to some inn’ and the coroner summoned. I always wondered why the inn. Thanks Louise. It’s an area I’d like to look at again, in more depth.